A cute koala delighted passengers flying to Scotland from Germany. These are the first pictures of an adorable and rare baby penguin being cared for by its parents. These heartwarming pictures show male penguins picking up shiny pebbles which they will use to impress potential mates. A rare calf is the latest addition to the animals living at RZSS Edinburgh Zoo. Meerkats at Edinburgh Zoo have been diving into their new toy - a large ball pool. These adorable pictures show the UK's only giant pandas tucking into ice lollies as a special birthday treat. There is lots going on in the north and north-east this week. Here's our top picks. The UK’s only male giant panda, Yang Guang, turned 12 today (Friday August 14) and to celebrate keepers made him a large ice and bamboo cake to wish him a ‘bear-y’ happy birthday. 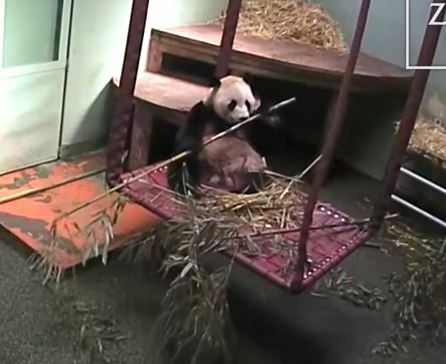 VIDEO: Giant panda frightens himself… With a bamboo stick! 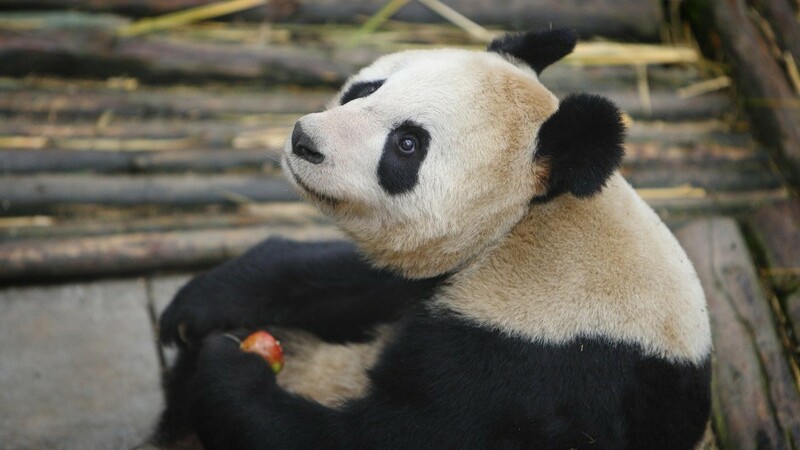 He may be smarter - and bigger - than your average bear but that doesn't mean giant panda Yang Guang can't give himself a fright with a stick. 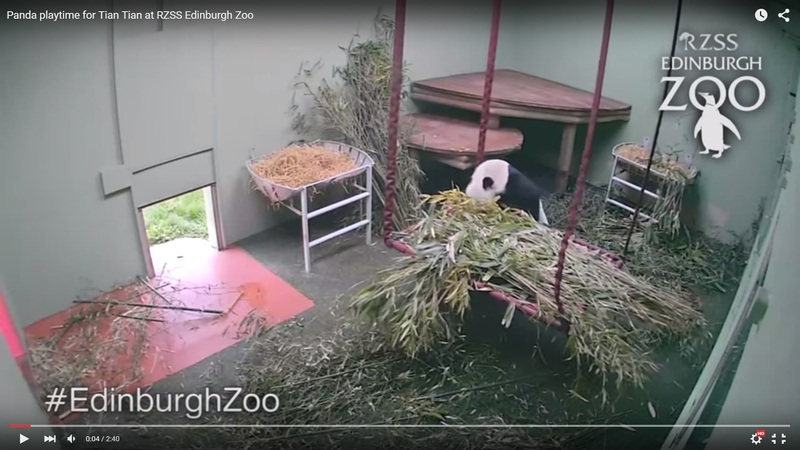 Giant panda Tian Tian shows her playful side in footage caught by keepers at Edinburgh Zoo. 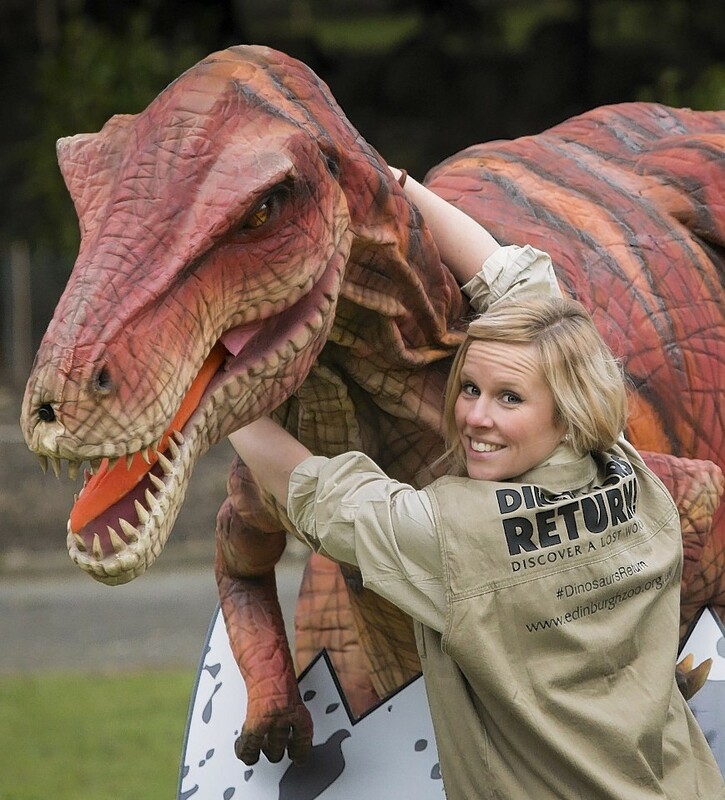 Visitors to Edinburgh Zoo will soon be confronted with robotic models of animals that died out millions of years ago. These pictures show you don't need an Instagram account complete with an array of filters to capture the perfect selfie. 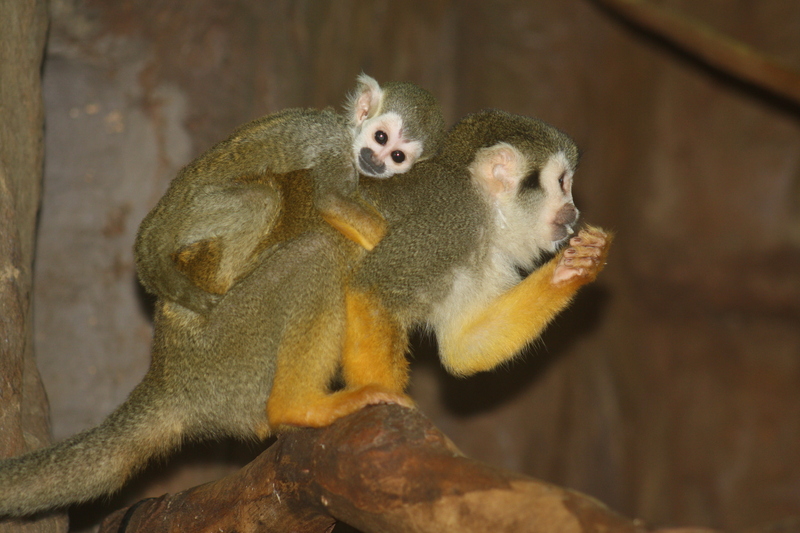 Visitors to Edinburgh Zoo are in for a treat with the arrival of four new playful critters - tiny baby squirrel monkeys. Razor sharp teeth and claws were used to carve into a gruesome Halloween treat as 15 Oriental short-clawed otters put on a spooktacular display of natural foraging at Edinburgh Zoo. 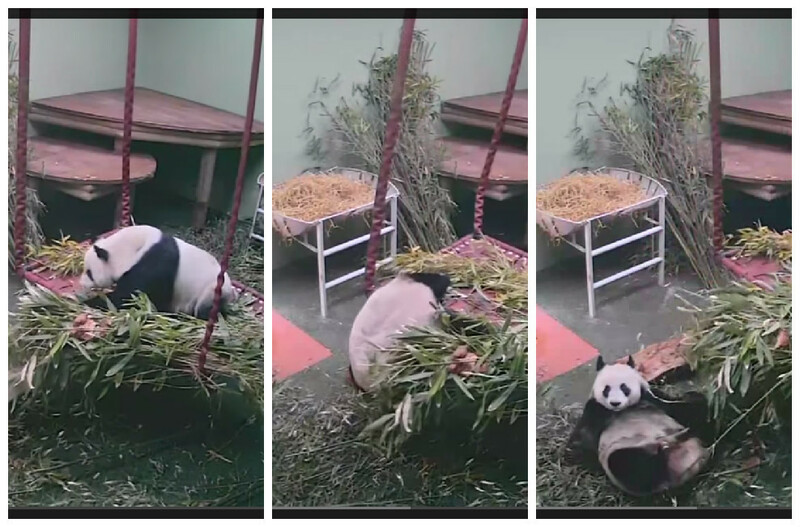 Scotland's only female giant panda is back entertaining crowds at Edinburgh Zoo, weeks after her pregnancy ended in failure. 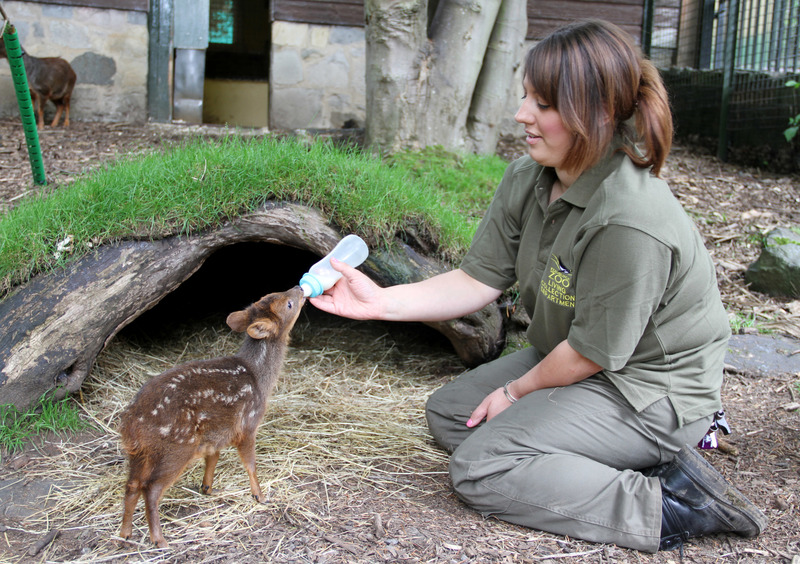 A baby deer who lost her mother at just two weeks old has been hand-reared by keepers at Edinburgh Zoo. The first koala to be born in the UK has enjoyed his first climb outdoors. 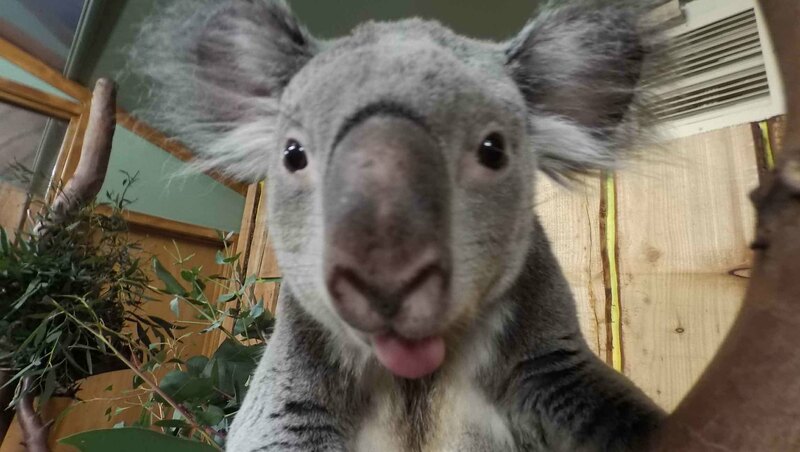 Yooranah was born at Edinburgh Zoo in May last year and has been waiting for the weather to warm up before being allowed on the outdoor koala climbing frame.